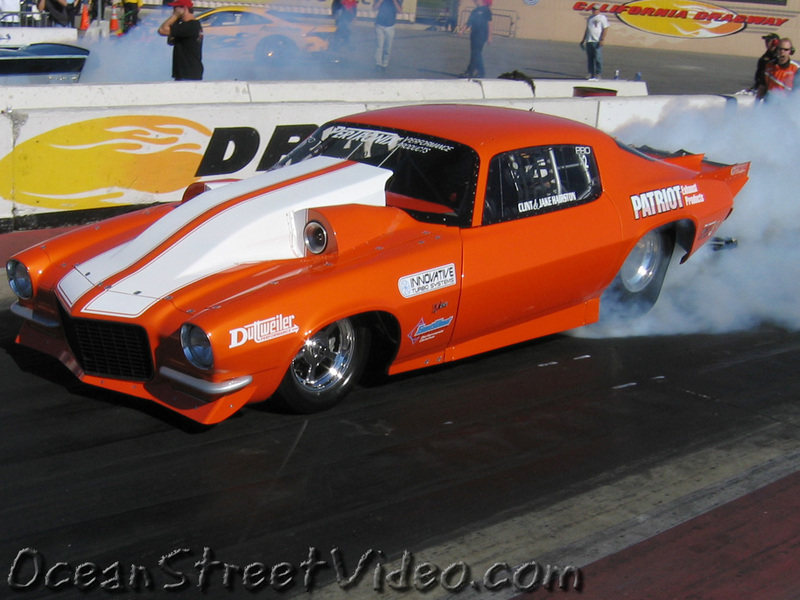 These drag racing photos were taken at the Pacific Street Car Association World Finals race at Fontana, CA, sponsored by Edelbrock. 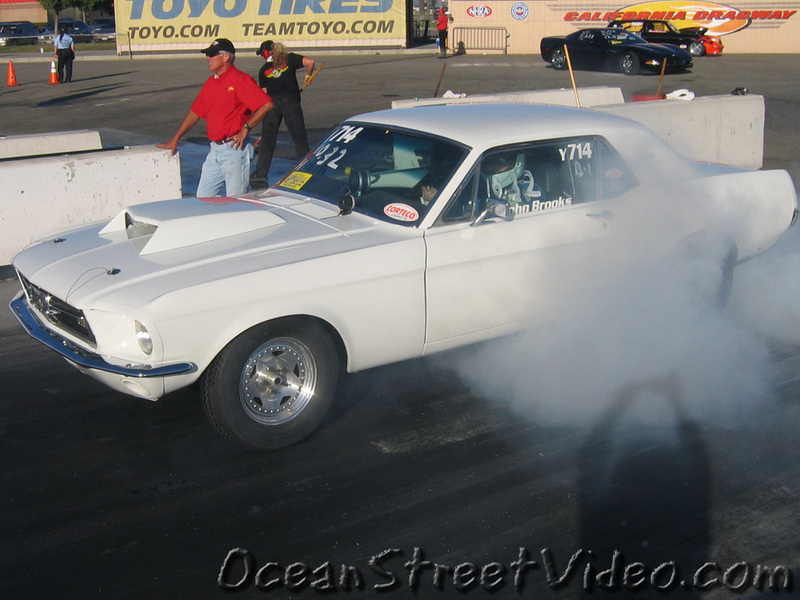 What you see in these racing pictures is largely bracket and index class race cars from the So Cal area. 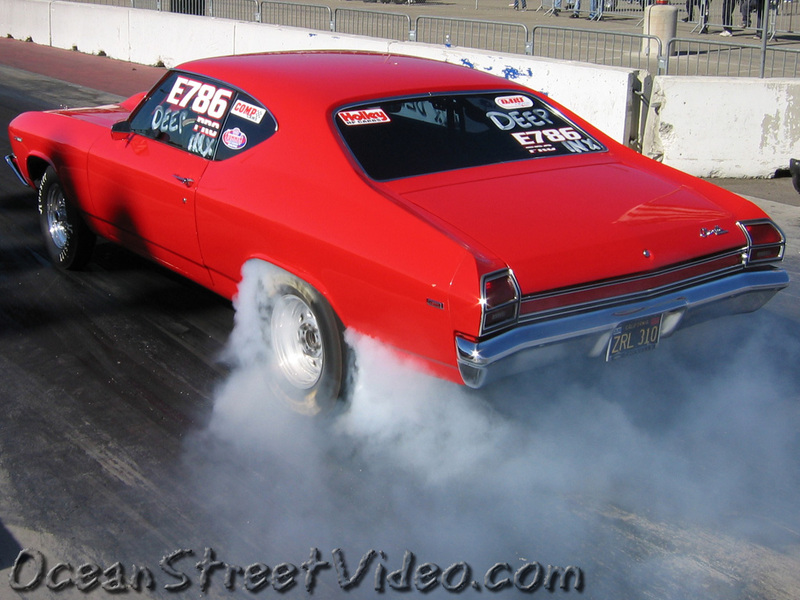 There was a 10.60 index class, an open comp class, a bracket 1 class, and a trophy bracket drag racing class. 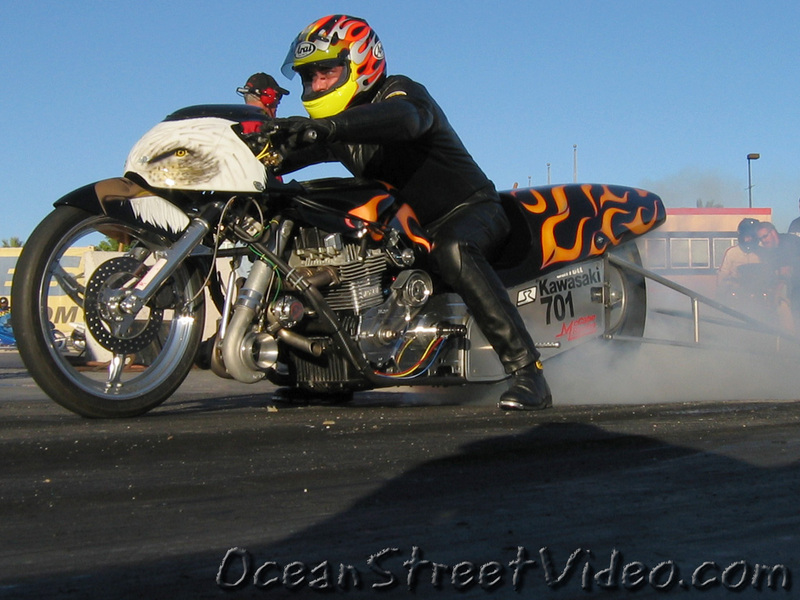 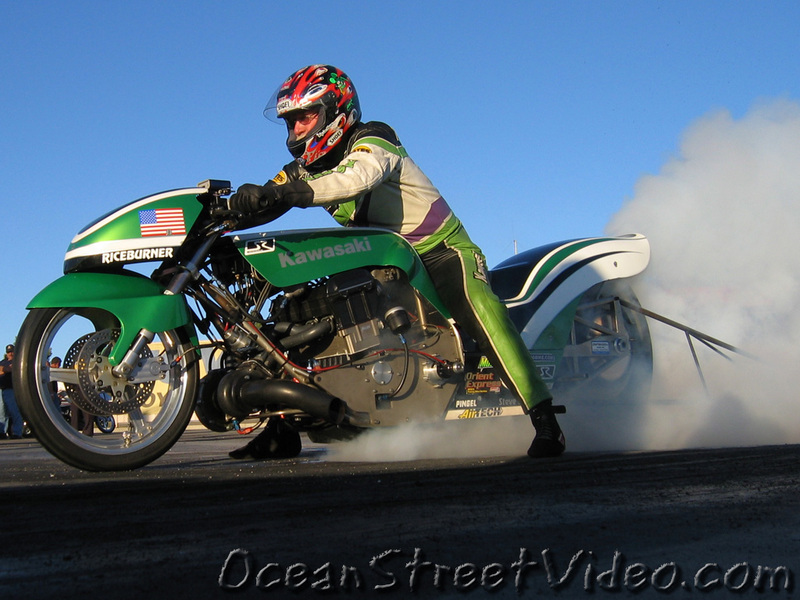 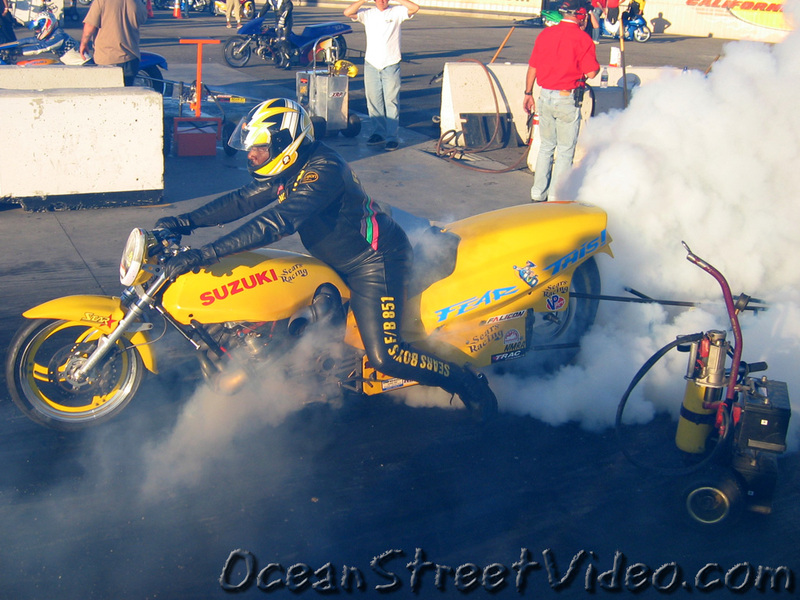 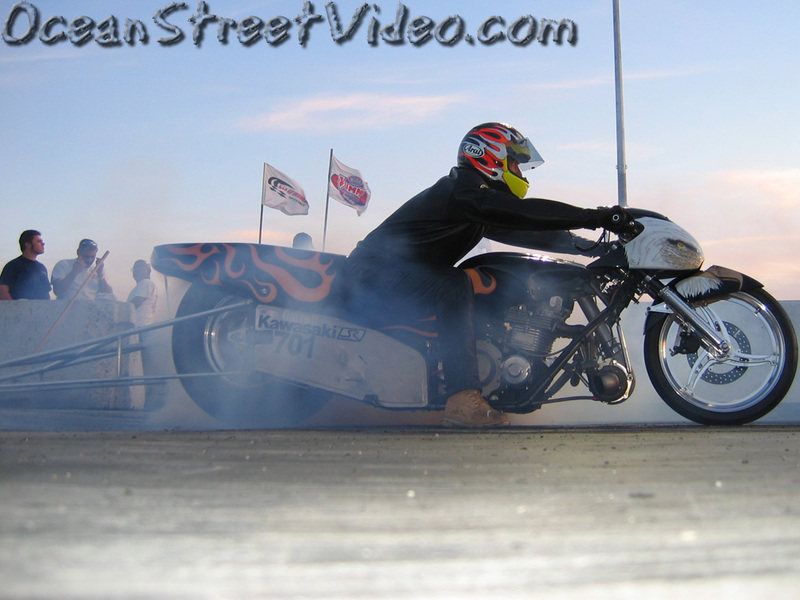 The drag bikes are not part of the PSCA circuit, but some of those Kawasaki and Suzuki motorcycles run in the high six-second range. 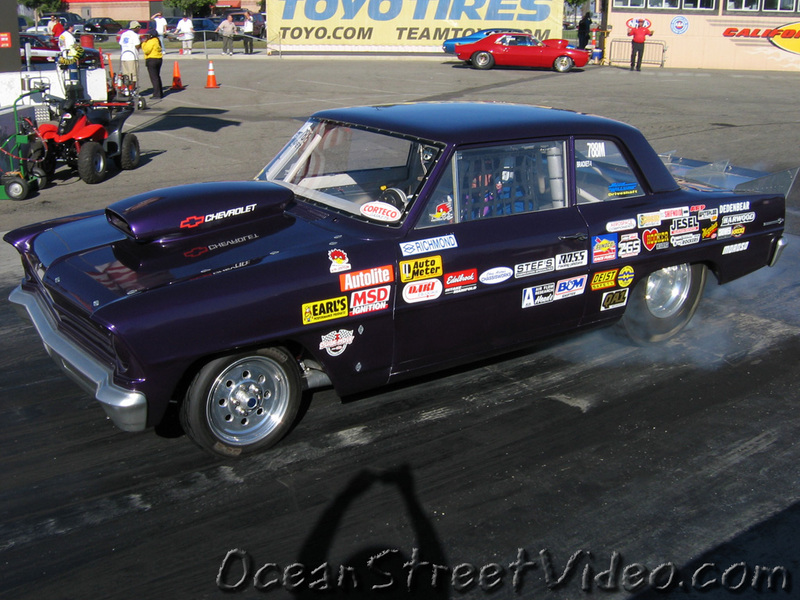 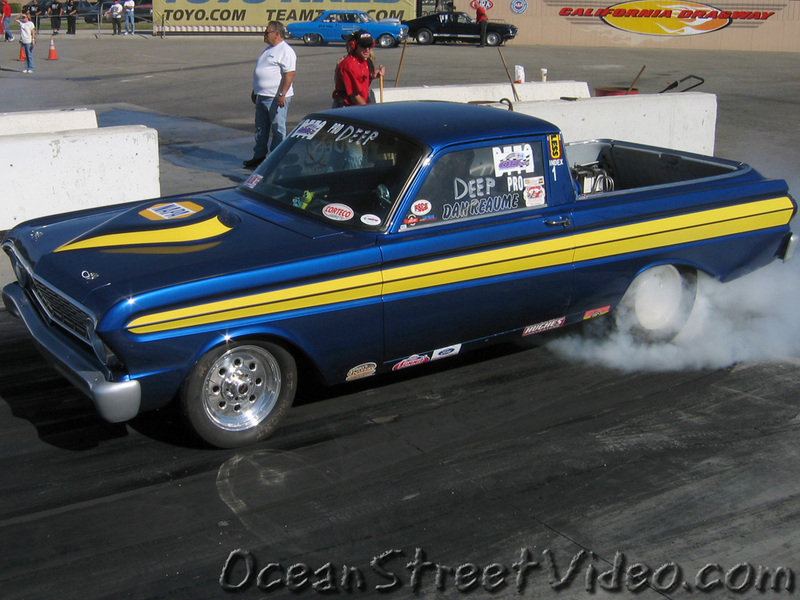 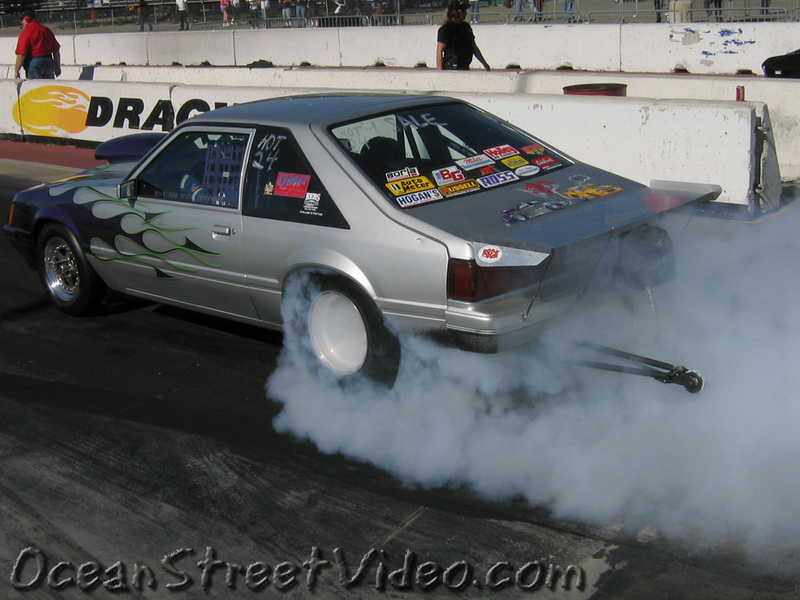 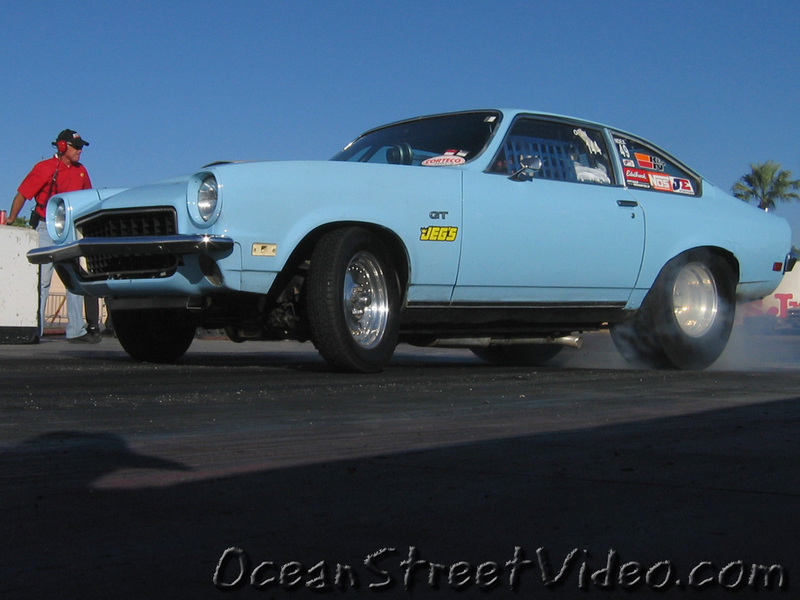 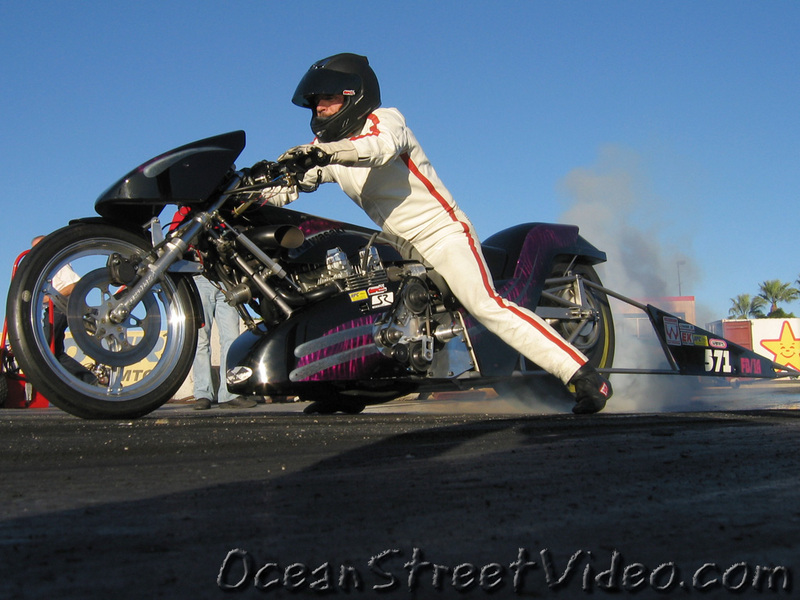 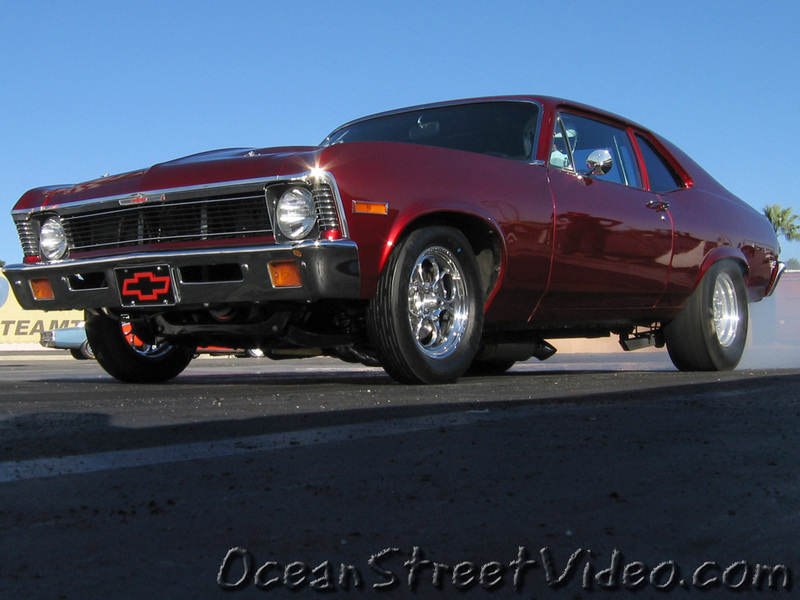 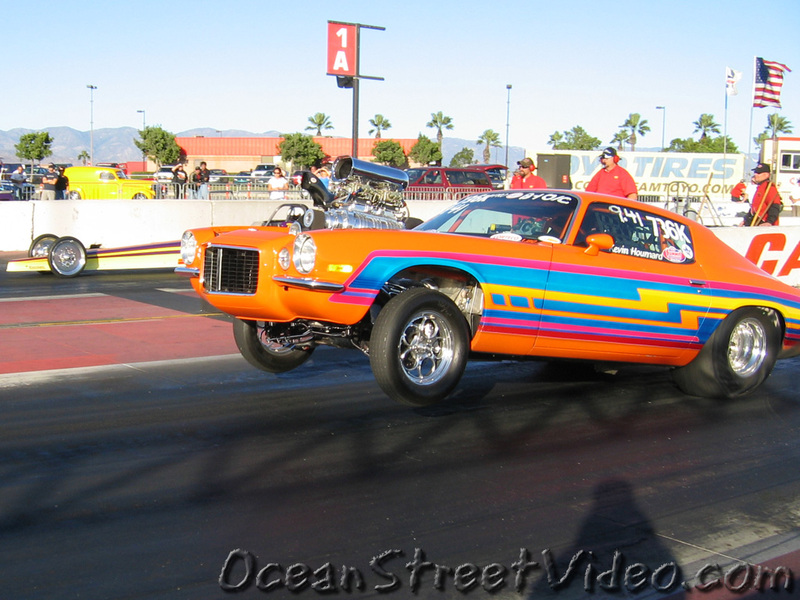 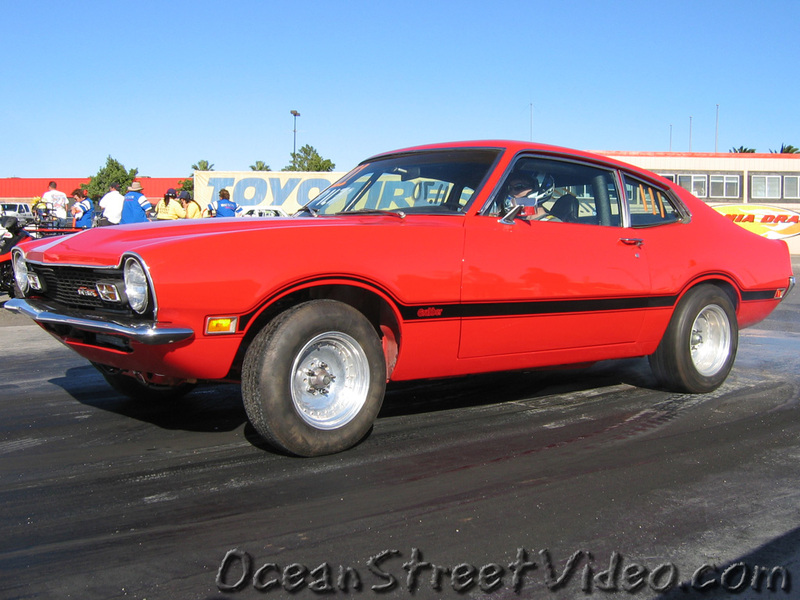 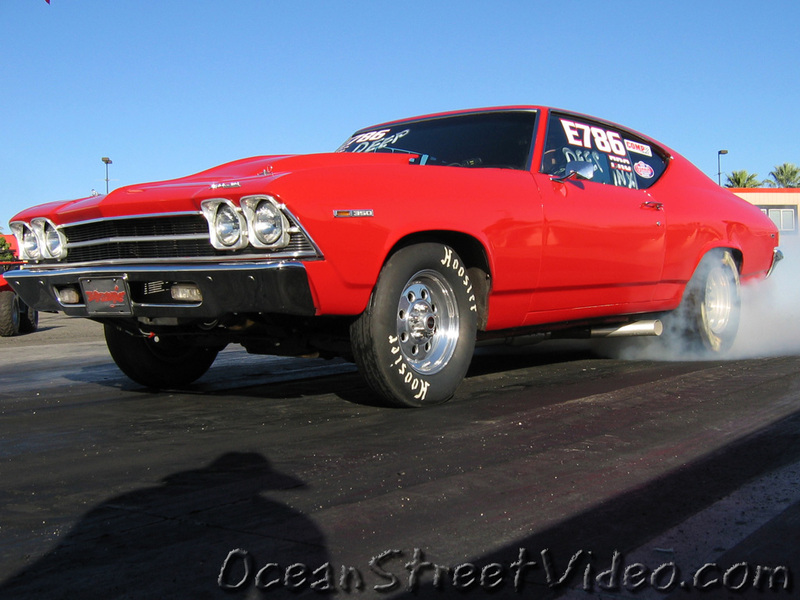 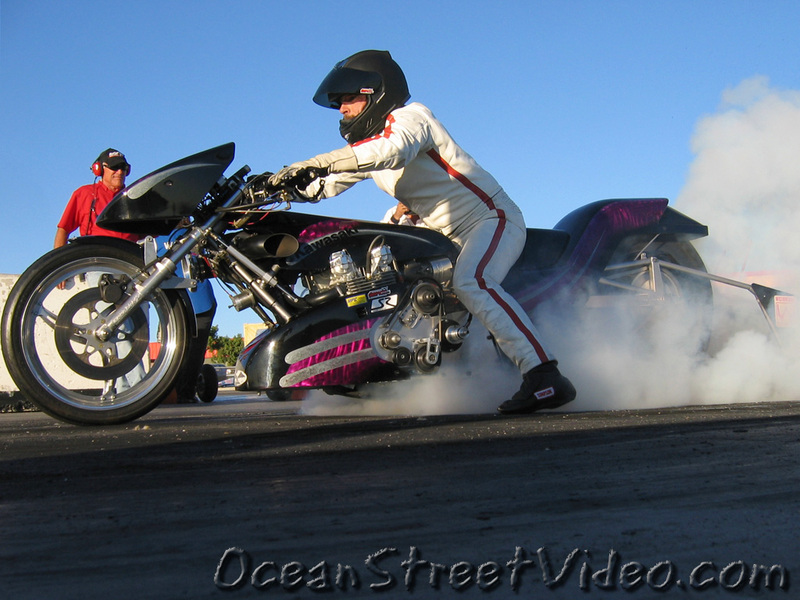 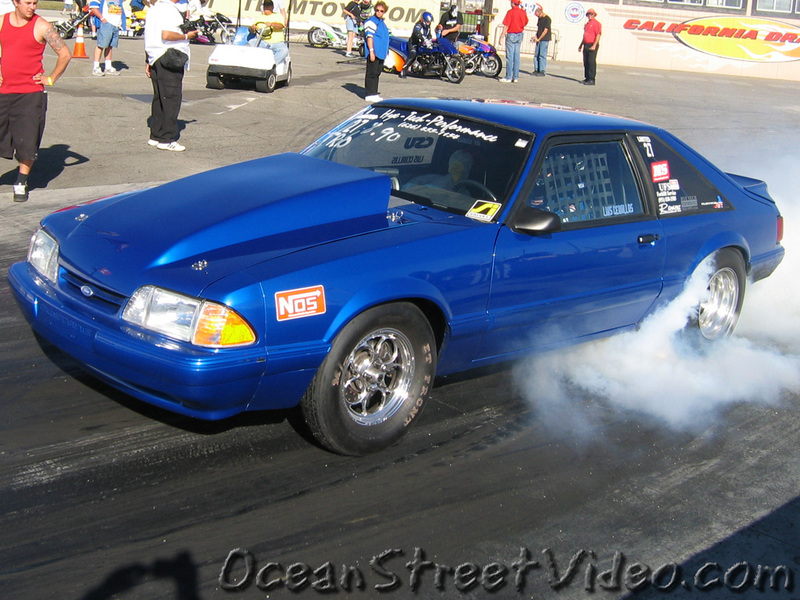 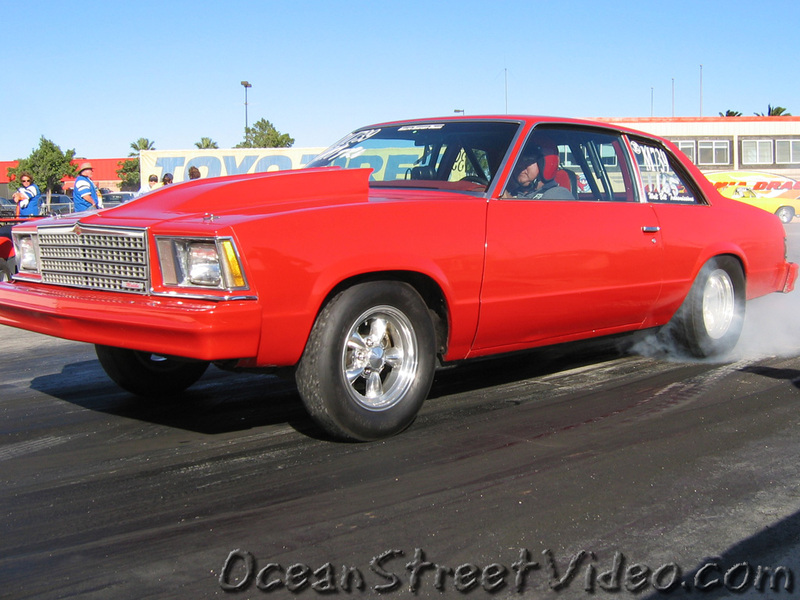 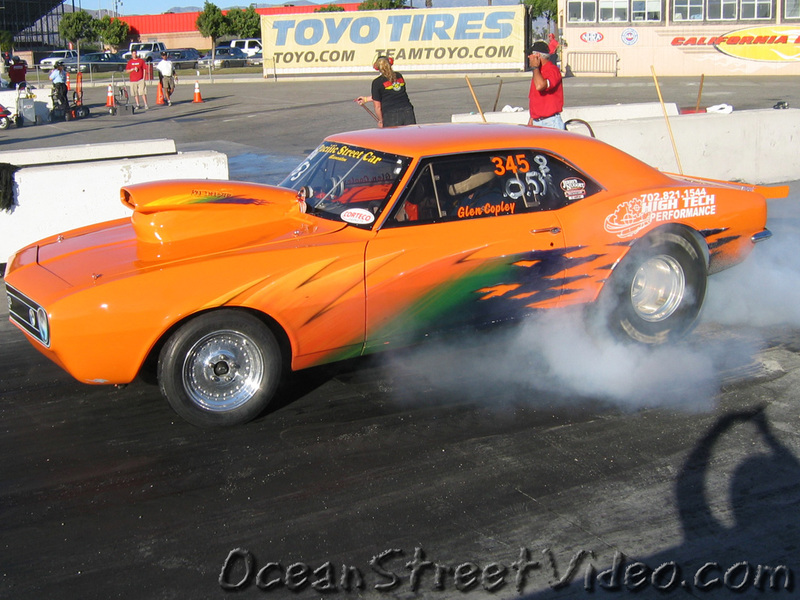 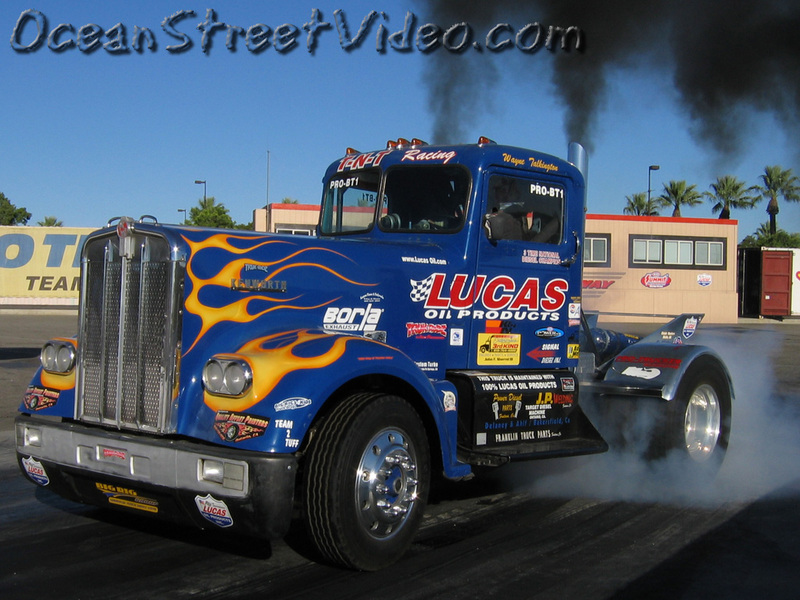 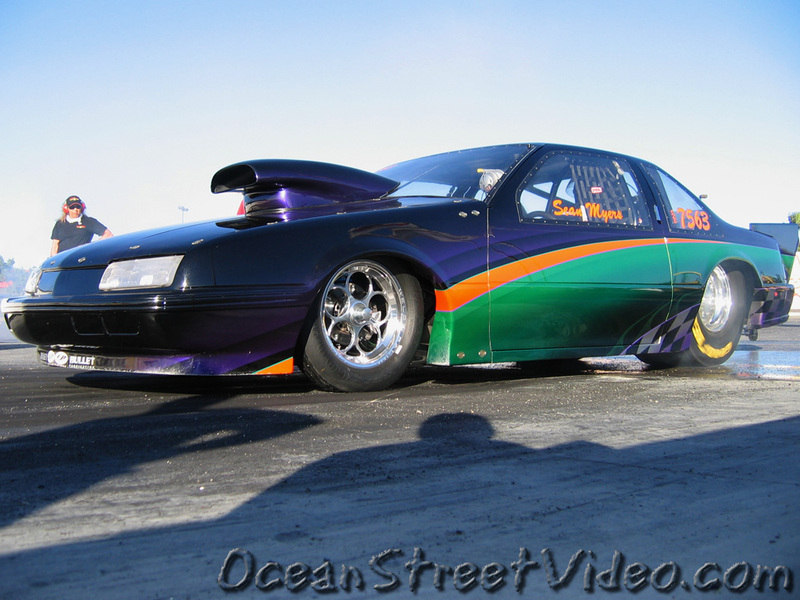 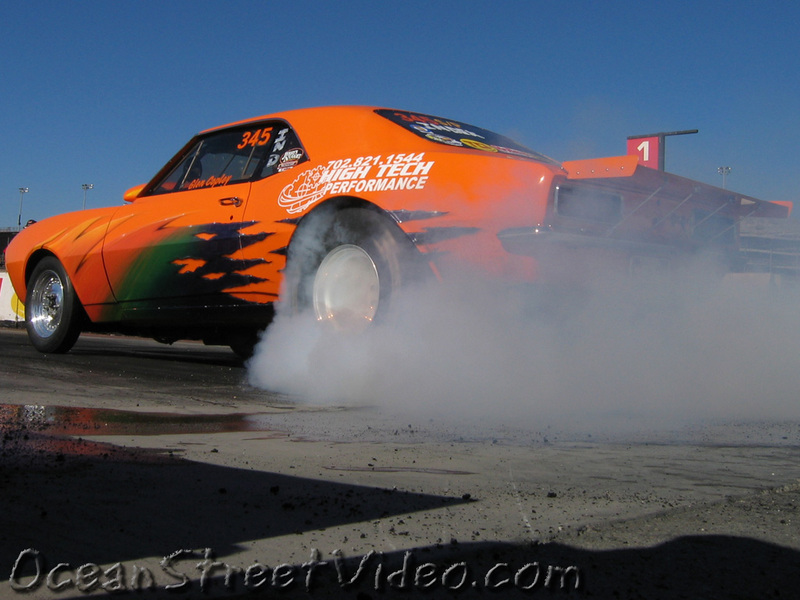 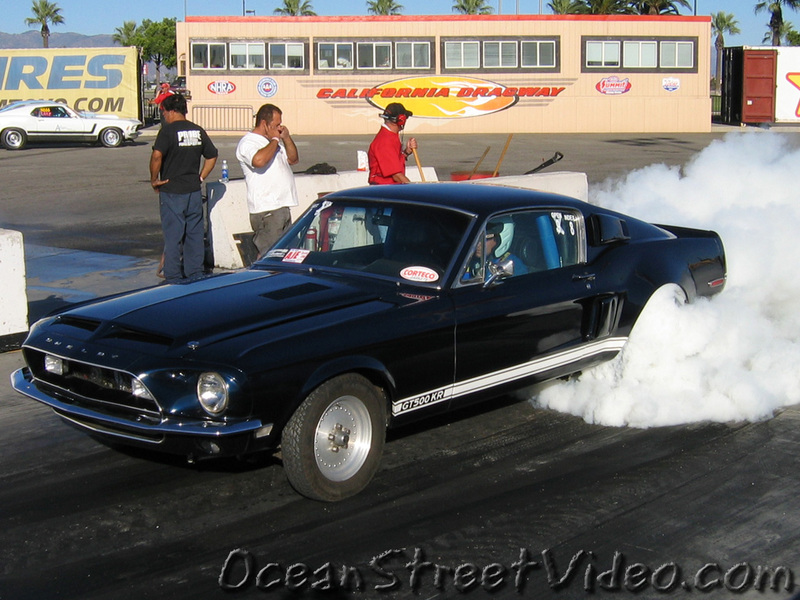 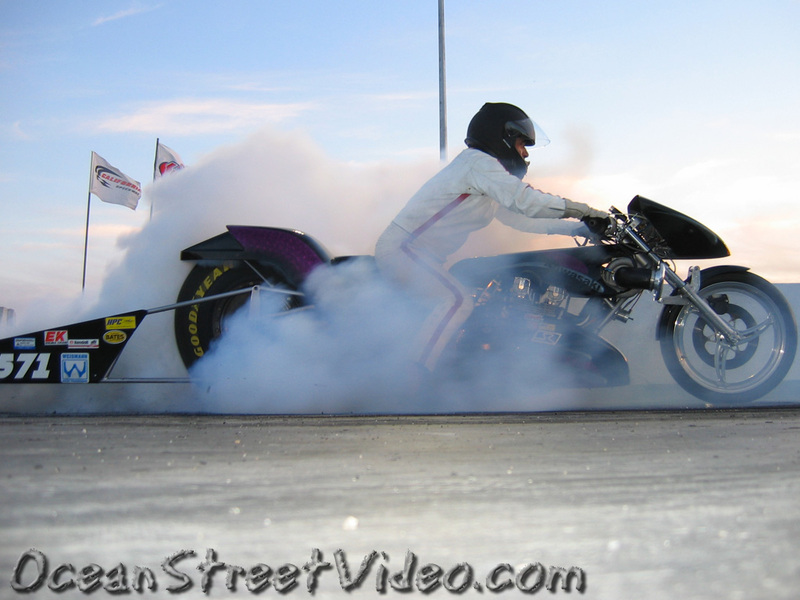 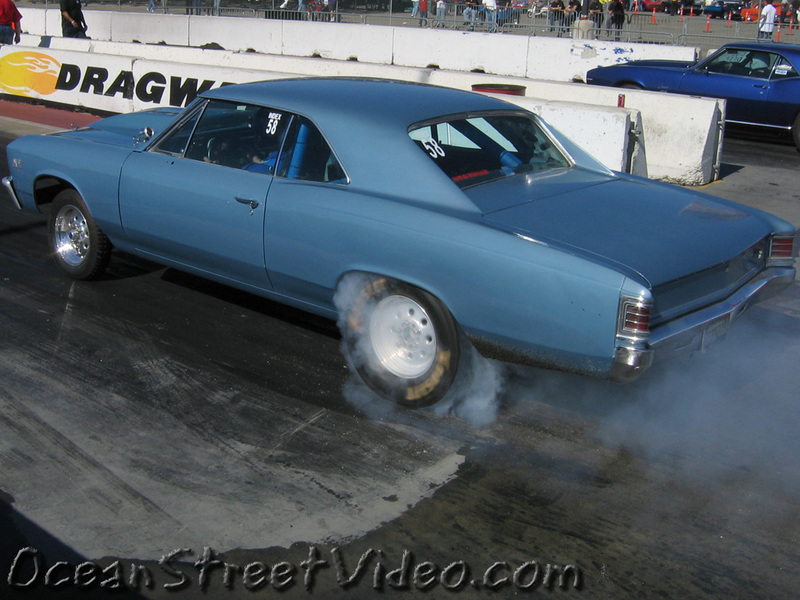 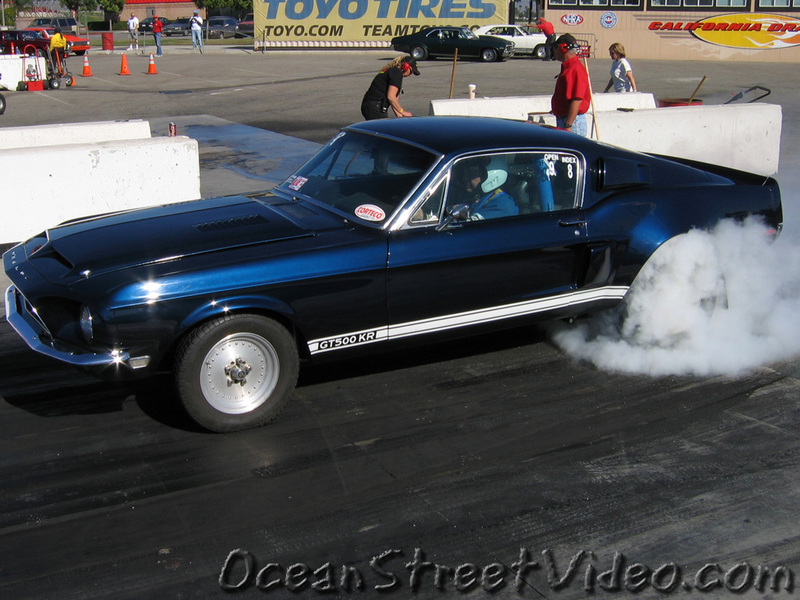 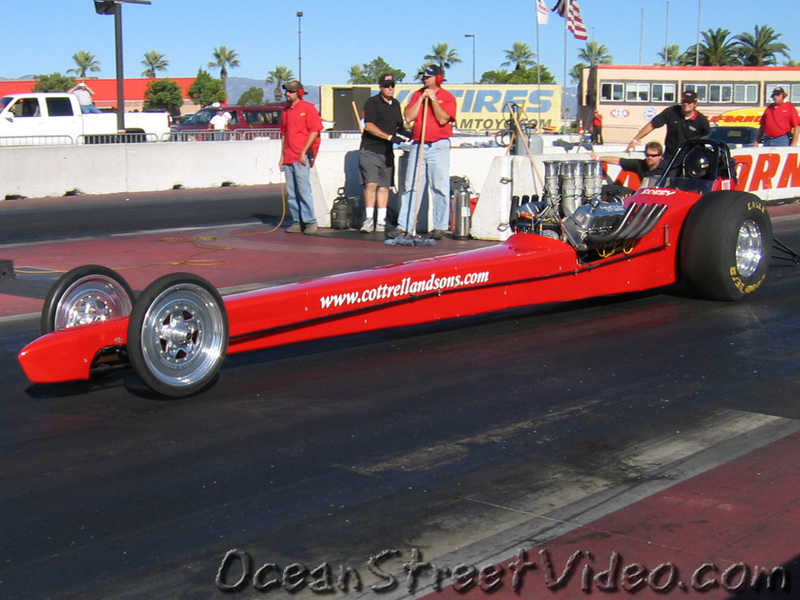 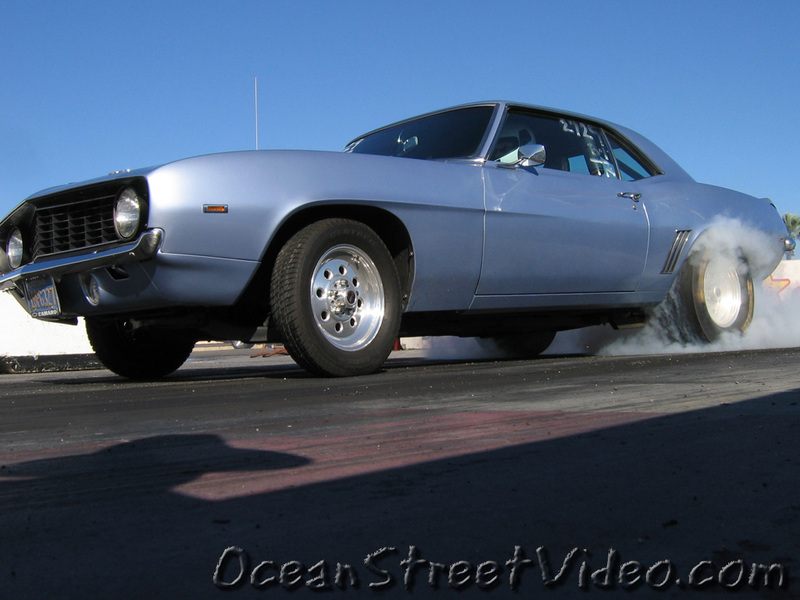 Check out drag racing videos of muscle cars at Drag Racing TV.